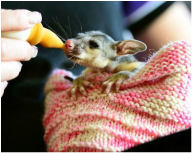 Comments: Qld Wildlife Carers & Volunteers is a not-for-profit community group, authorised to rescue, rehabilitate and release wildlife in and around Bunderberg Queensland. We are able to care for raptors (birds of prey), koalas and echidnas as well as other birds and native animals. You can also contact the RSPCA on 1300 ANIMAL (1300 264 625) from anywhere in Qld. ​Clicking on the website above will open that website in another tab. To send an email to the wildlife group, copy the email address from above and paste into your email program. If you find any errors in the information we provide, or want to let us know that a wildlife group is no longer operating please let us know via the contact page. If you would like to provide information about an organisation that we do not already have listed in our database, please let us know by using the NEW ENTRY form. Do not use email to report an animal in need. Not all groups monitor their emails 24/7 and if an animal is reported by email, your report may not be read in time to save the animal. Always use the provided Rescue hotline number to report injured, sick or orphaned wildlife. ​Home | About | Contact | Help - I found injured wildlife!